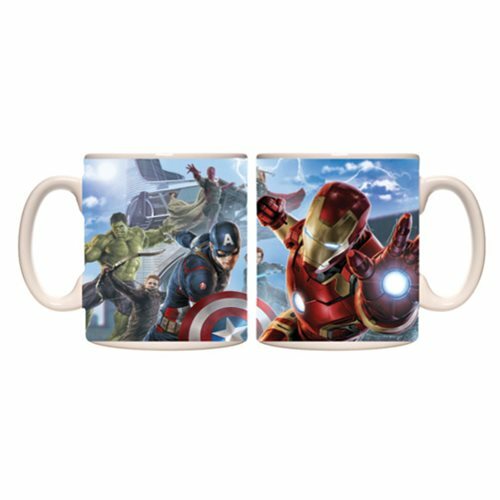 The Hulk, Captain America, Iron Man, and other Avengers appear in vivid color in the action-packed image wrapped around this Avengers: Age of Ultron Avengers in Action Mug. Grab yours right away! Hand wash only. Not dishwasher safe. Do not microwave. Ages 14 and up.